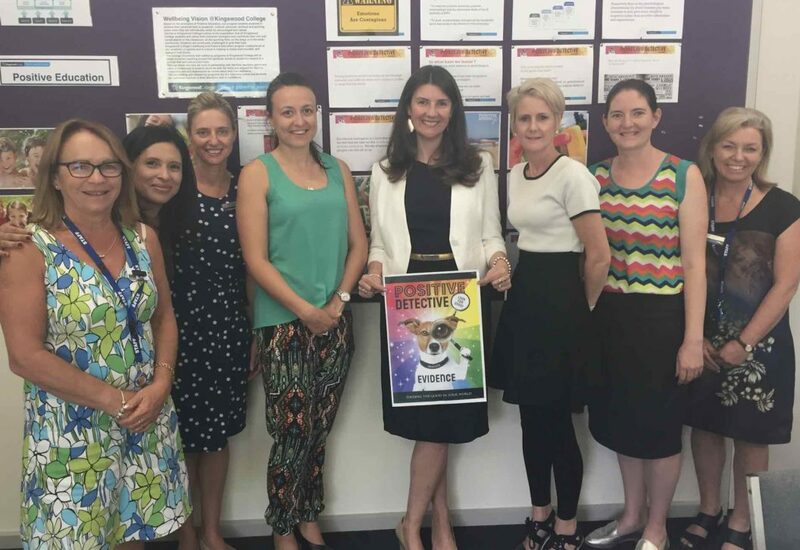 Lisa King, Principal of Kingswood College introduced Positive Detective to over 150 student from Early Learning through to Year 6 in Term 1, 2017. 1. the children made authentic connections with positive detective dog and the junior school positive detective award. 2. the children benefited from the program being implemented at the beginning of the school year. 3. the children were able to make authentic connections with the broaden and build theory, emotional contagions and elevation effect in their daily lives. 1. the teachers thought that the program complimented their classroom practice. 2. the teachers enjoyed the lessons being planned and easy to follow-they used the program to guide the unit of inquiry ‘who we are’. 3. the teachers used the positive detective program to complement and support their classroom practice.